For the 6th time in 7 tries, the Blandsford Barnburners are World Champions. The beat the Wolfpack two games to one, to clinch their sixth title. They tie the Canvassers with most championships in league history. 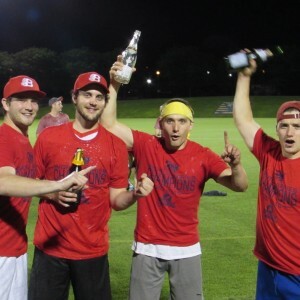 After losing the first game to a pitcher ejection forfeit, despite being up 1-0 in the final inning, the Barnburners rallied to win games 2 and 3. The Wolfpacks lone run in the series came on an Adriano DeSorrento home run in Game 3. Jack Shannon, the batting triple crown winner for the regular season, hit for the cycle in Game 3.